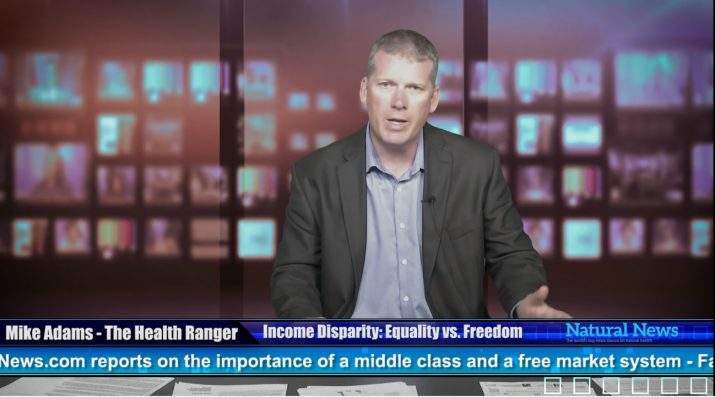 You’ve heard Leftists spout the term “inequality” in a derogatory context, implying that in a fair society, everybody should earn exactly the same amount of money whether they work or not. By definition, this implies that no one should be rewarded for working harder or having better ideas. Economic “equality” has been tried before, and it always produces mass poverty and misery because it takes away any incentive for people to work, launch small businesses or engage in innovation that benefits all. Centrally planned economics run by governments always FAIL. Instead of striving for artificial “equality” in a society run by tyrannical elitists, we should instead work to provide equal opportunities for all, then reward those who choose to save money, work hard, contribute ideas and innovation or invest in good ideas that produce steady returns. To do this, we need serious tax reform that eliminates taxes on savings and investments. We need drastically reduced health care costs for employers as well as the elimination of government subsidies or loopholes for special interests. In a truly free society, there will always be income inequality because some people choose to work harder than others. Some people have better ideas than others, and a few people are even willing to take business risks that others shun. In a free society, some people will always excel more than others in terms of earnings. But that’s often by choice, and the only way to really achieve “equality” among the masses is to collapse everyone into mass poverty (a la Venezuela).